All 200 rooms and suites were 100 percent renovated in 2016 in a modern, comfortable mountain style and are the most luxurious and well-appointed of all North Conway hotels. 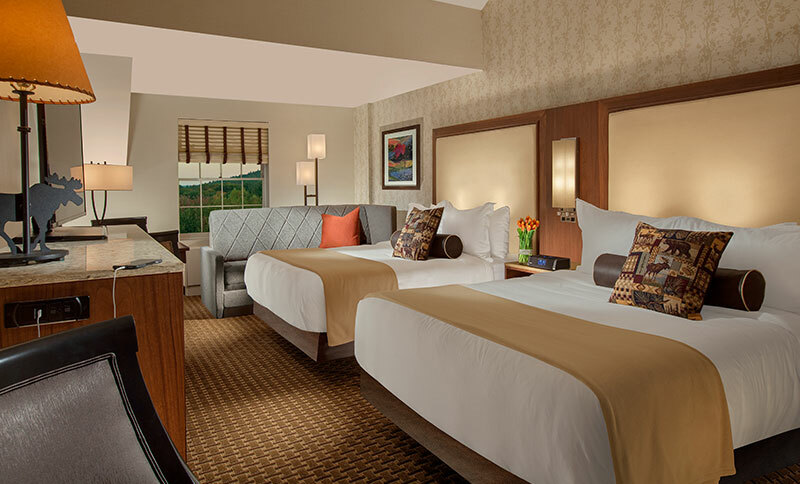 Rooms feature the highest quality custom designed furniture, locally-inspired art, new bedding with down duvets and high thread count linens, and your choice of down of fiberfill pillows. Each rooms offers a large refrigerator with separate freezer, microwave and safe. Completely renovated bathrooms are finished in travertine marble with high quality bath fixtures. Keep connected with Wi-Fi and numerous outlets. 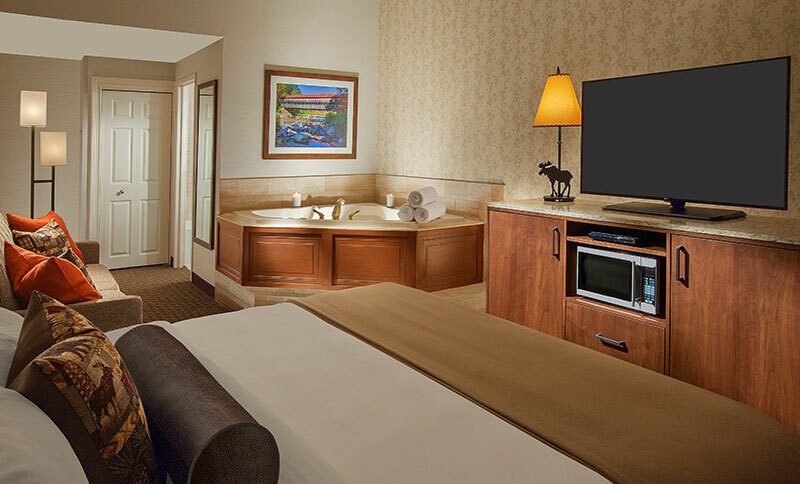 We feature 19 suites, several rooms with hot tubs, numerous rooms that adjoin with connecting doors, and 10 fully compliant ADA guestrooms. Rest easy with 350 square feet of space in this the beautiful, renovated guestroom, offering two queen beds, work space and dining area with two chairs. 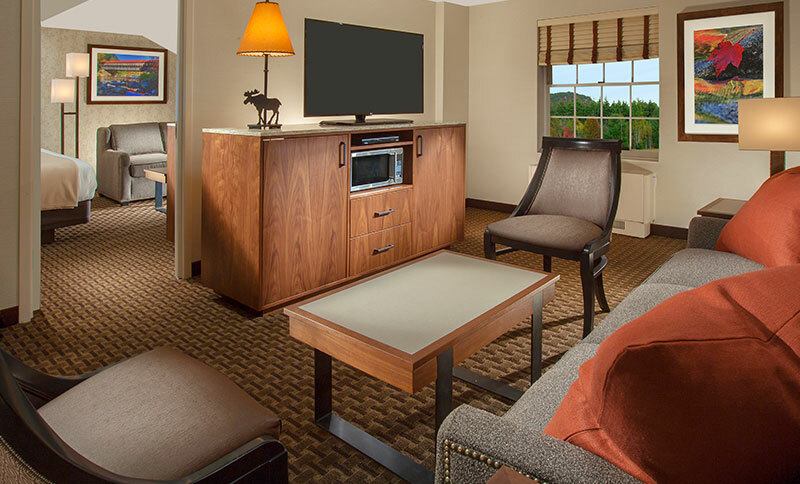 Keep connected with complimentary Wi-Fi, and unwind with a movie on the flat-screen TV. Enjoy refrigerator, microwave, electronic safe, iron/ironing board & gourmet coffee/tea. Recently renovated, our king room invites relaxation with premium, high-thread count bedding and a king sized bed surrounded by all the modern comforts of home. 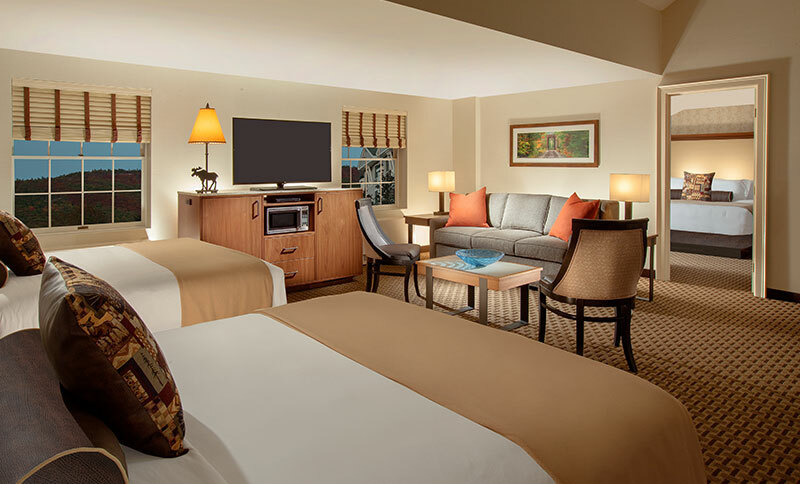 Relax with a movie on the flat-screen TV, or stay connected with complimentary Wi-Fi. The two person hot tub makes this room perfect for couples. With 450 square feet, a king bed and sleeper sofa, there's plenty of room to unwind. 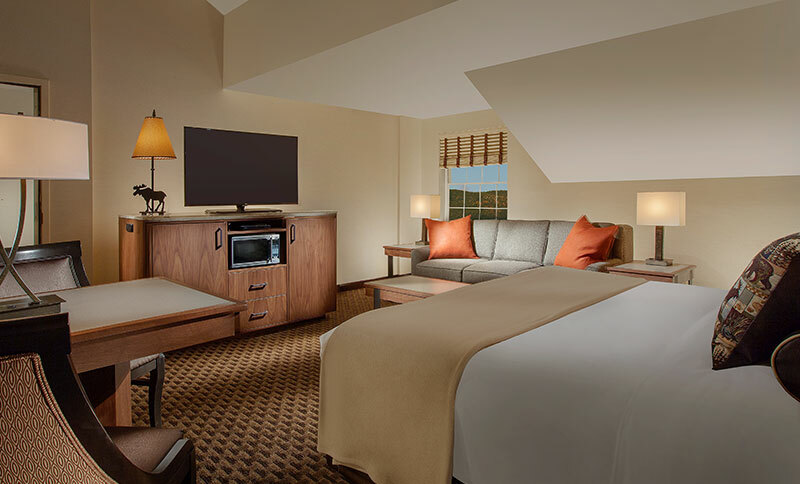 Custom New England inspired furnishings and mountain views blend with modern touches like free Wi-Fi. Enjoy extra room in this spacious suite which sleeps up to four. 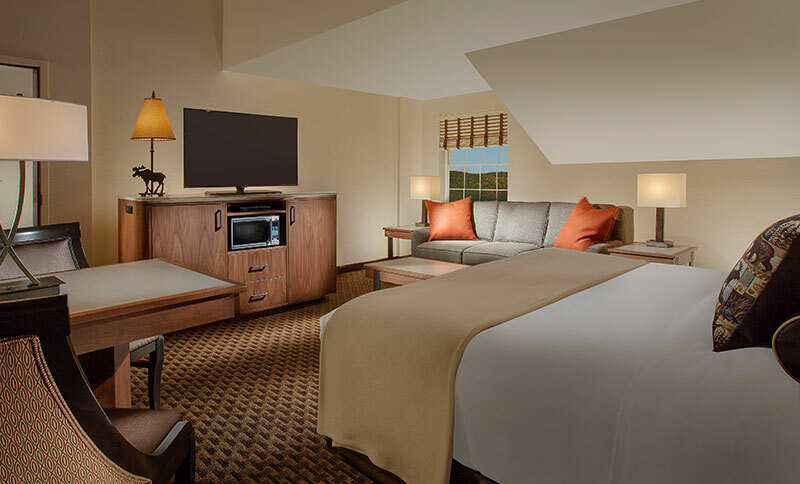 Our Junior Suite offers a king bed with premium, high thread count bedding, custom furnishings, sleeper sofa, dining area with two chairs, work space, flat-screen TV and complimentary Wi-Fi. Indulge in extra comfort with your own private jetted hot tub, and designer bath amenities. This suite offers a king bed with premium, high thread count bedding, custom furnishings, sleeper sofa, dining area with two chairs, work space and Wi-Fi. 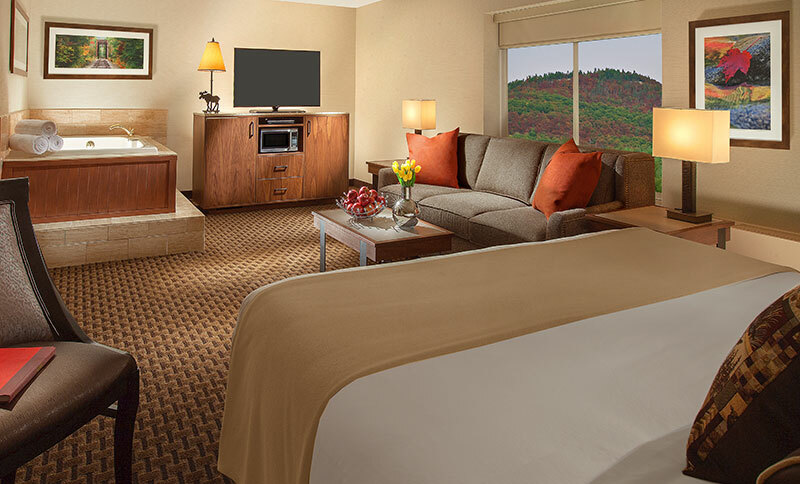 Treat the family to a mountain escape. This 600 square foot, two room suite offers plenty of room to unwind, with a separate king bedroom and living room with two sleeper sofas. In addition, each room has its own flat-screen TV. Enjoy a refrigerator, microwave, wet bar, electronic safe, iron & ironing board and gourmet coffee and tea. 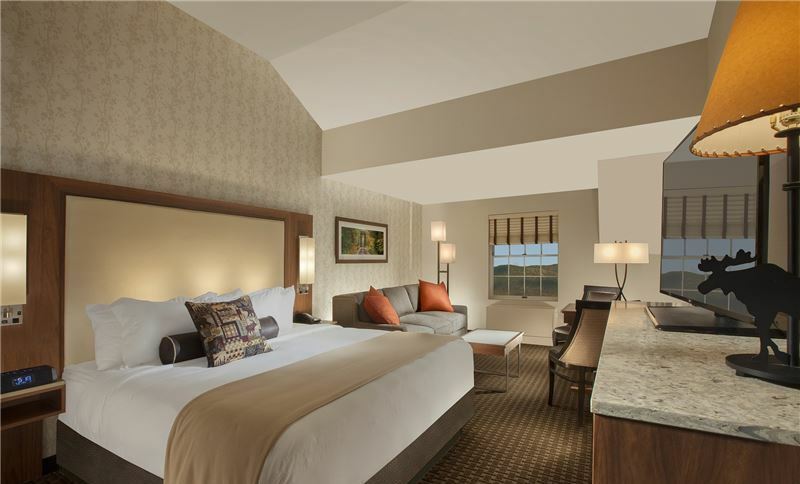 This spacious 1,050 square-foot two room, two bath suite combines our one bedroom suite with our junior suite. The separate bedroom includes king bed and sleeper sofa while the adjoining junior suite provides a king bed and sleeper sofa. Find the perfect home-away for the family amid the Mount Washington Valley. This 800 square-foot room features a great room with two queen beds, sleeper sofa, and dining table. The separate bedroom provides a king bed and additional sleeper sofa.